Sanibel Island Real Estate, Captiva Island Real Estate - Time for season to start! Time for season to start! 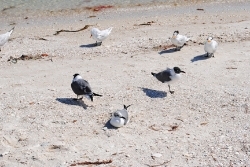 Labor Day, as always, was a time for people to celebrate the end of summer with a trip to Sanibel and Captiva Islands. The weather held and our beaches were crowded with families swimming, boating, fishing and just relaxing on the beach. The Ding Darling Wildlife Refuge had lots of visitors and our fabulous restaurants were busy making people smile. There was an interesting article in yesterdays Newspress about how many people cross our causeway. Apparently not even a recession can stop tourists from coming to our fantastic islands. 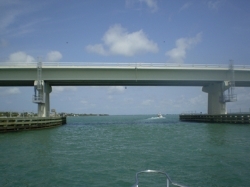 The Newspress article states that last year about 2.9 million cars crossed onto Sanibel. That's a lot of cars! It also shows that the amount of traffic has remained steady since the new causeway was built in 2004. Tourism will always be strong on our islands, we have plenty to do and miles and miles of world famous shelling on our beaches. Besides tourists visiting our island, our Sanibel real estate market is still cruising right along. We have lots of activity and many happy new residents. Since the first of the year we have had 99 home closings on Sanibel, and we have 101 pending home sales. For the condo market we have had 92 Sanibel condo closings, and there are 95 pending condo sales. We currently have 235 active home listings on Sanibel, ranging from $230,000 to $6,900,000. For condos we have 225 active listings, ranging from $175,000 to $3,695,000. If you give me a call, or just need some questions answered, let me know and I'll do all I can to help you understand our islands and all they have to offer! To get you started, you can check out a couple of my videos.